https://www.darwinescapes.co.uk/careers/job/lifeguard-pentney-nw38/ An opportunity has arisen for someone who is looking to take the next step in their Leisure career to join our team at Norfolk Woods Resort & Spa as a Lifeguard. The successful applicant of this highly sought after position will be expected to work closely with our Leisure Manager to ensure the safe and effective operation of the leisure and indoor swimming pool complex in line with the ultra high standards which are expected at any holiday park which is part of the Darwin Escapes portfolio of UK destinations. A fundamental requirement in this role will be the ability to spot and react to any issues which may occur immediately. This keen eye for detail will also be required so as to maintain the cleanliness of all leisure areas at all times, including the pool itself as well as all additional leisure facilities on-site and changing room areas. In addition, you will also be expected to be comfortable working with varying age groups and happy to provide assistance to our highly valued guests with impeccable customer service skills. The successful candidate applying for this position will be required to provide an enhanced disclosure check which will of course be paid for in full by Darwin Escapes. Please note before applying that this is a seasonal position where you will be expected to work variable hours which will include weekends and Bank Holidays in addition to week days. Key Responsibilities Strict observation of swimmers and spectators within the swimming pool & leisure areas. Regular checking of all leisure areas to ensure that expected hygiene levels and safety standards are maintained Check and record all guest passes so as to ensure their validity Liaise with guests to advise on activity & leisure programmes on-park Immediately record accidents in line with company procedure & administering first aid as and when required Carry out swimming pool water tests when required Carrying out checks on indoor plants & foliage What experience you will need Current Lifeguard qualification preferable but training courses can be provided where required; Previous experience in a leisure role would be an advantage. What skills you will need Valid lifeguard qualification advantageous Current Pool Plant qualification would be an advantage Possession of a current First Aid certificate is preferred. Strong communication & customer service skills. Possess a positive attitude to work with an eagerness to learn. UK driving licence and ability to drive an advantage What we offer Various training including ongoing NPLQ training and Darwin Academy online training such as emergency first aid and health and safety. Competitive hourly rate of pay provided. Full Norfolk Woods leisure team staff uniform provided Discount in Darwin Escapes owned restaurants and facilities. https://www.darwinescapes.co.uk/careers/job/food-beverage-assistant-swanage-sbv29/ Are you looking for a bar and waiting on role within the Swanage area? Then why not apply to join our friendly team at Swanage Bay View Holiday Park. We are advertising for a Food and Beverage assistant to join our Award Winning team here at Swanage Bay View Holiday Home Park. This is a seasonal position until 2020 where you will be required to work variable hours which will include evenings, weekends and also Bank Holidays but will benefit from a plethora of advantages including discounts at Darwin Escapes facilities and restaurants in various locations across England and Wales. You will also have the opportunity to progress, with access to the much heralded Darwin Academy. The lucky applicant who gets chosen for this role will work within our wonderful front of house team and receive first hand guidance and support from our friendly Food and Beverage Manager. In this role, you will be expected to adhere to our impeccable high standards at all time as you liase with our much valued holiday customers and owners of our close knit holiday home owners community. This will require you to take food and drink orders at the bar as well as serving the order to the customer. Minimal food preparation is required, but you will be expected to ensure that the Swanage Bay View Holiday Park complex is kept clean and impeccably presented at all times. If you feel that you have what it takes to take on this role and are looking for bar and waiting jobs in Swanage or a commutable distance around it, then please feel free to send your application online today! Our friendly team looks forward to hearing from you. Key Responsibilities Ensuring the service of food and beverages is prompt, efficient and to a high standard. Ensure the clean and tidy presentation of the bar and restaurant areas by ensuring glasses are collected promptly and frequently, and resetting tables quickly. Ensure all areas are kept clean and hygienic. Accurate cash handling using Epos systems. Accurate rotation of stock and merchandise on shelves and in fridges. What experience you will need Having similar experience in a bar or restaurant setting would be an advantage. What skills you will need Excellent standards of customer service are essential. Driving licence and ability to drive is advantageous to enable you to get to the park due to location and hours. Good communication skills. Good attitude towards work and learning new skills. What we offer Job specific Darwin Academy training such as customer service and health and safety. Competitive hourly rate of pay. Uniform provided. Discount in various company restaurants and facilities. https://www.darwinescapes.co.uk/careers/job/caravan-cleaner-swanage-sbv32/ Swanage Bay View Holiday Park has positions available for Caravan Cleaners to join their fun and friendly team at this five star park, just outside of Swanage. Upon a successful interview, you will join our team at our beautiful park, overlooking the Jurassic Coast. Your main responsibility will be assisting the Housekeeping team in maintaining the guest accommodation on park. This will include general housekeeping duties within the caravans, such as tidying, cleaning windows and floors, completing laundry deliveries and linen boxes and replenishing inventories as required. This position will be seasonal until November 2019, to work variable hours. This will include weekends and bank holidays This role is ideal for anyone looking for cleaning or housekeeping jobs within a commutable distance of Swanage. Key Responsibilities Maintain the cleanliness and presentation of all holiday units within the complex. Cleaning of windows inside and outside. Checking inventories and replenishing as required. Laundry services. Reporting of lost and found property. What experience you will need Similar previous experience is preferred but not essential. What skills you will need Excellent levels of customer service are essential. Driving licence and ability to drive is advantageous to enable you to get to the park. Strong communication skills through a variety of methods. Positive attitude to work with willingness to learn. What we offer Darwin Academy job specific training, to include customer service, COSHH, health & safety, manual handling, etc. Hourly rate of pay. Uniform. Discount in company restaurants and facilities. https://www.darwinescapes.co.uk/careers/job/reception-supervisor-whitecross-pm47/ An exciting opportunity has arisen for a Reception Supervisor to join the friendly Guest Relations team at Sandymouth Holiday Resort, Bude. This Reception Supervisor position is an excellent opportunity for someone with a wealth of reception experience to take the next step in their customer service career. As part of the Reception team, you will greet all guests to the park and assist them with any queries they may have. You will advise on the local area, issue accommodation keys and information and direct guests to events areas as required. Alongside looking after our guests you will oversee the Reception team, ensuring they too are providing the highest standards of customer service. This is a permanent position to work variable hours. This will include weekends and bank holidays, along with some evenings. The Reception Supervisor position is ideal for anyone searching for reception or customer service positions within a commutable distance within Bude. Key Responsibilities Oversee front of house reception and provide the highest standard of customer service. Handle all telephone and personal enquiries courteously and promptly. Meet and greet all park guests, with the provision of refreshments when required. Deal with all customer queries and complaints immediately and courteously. Accurate cash handling. Assist in the preparation of Costa drinks, as required. Assist with holiday, event, restaurant and activity bookings. Ensure all park tourist information is up to date and relevant. Issue of accommodation keys and information to guests on arrival. What experience you will need You will have similar previous reception experience. What skills you will need Excellent customer service skills to ensure high standards. Driving licence and ability to drive is advantageous to enable you to get to the park. Strong communication skills within the team, to guests and to contractors. Positive attitude and work ethic with willingness to learn. What we offer Darwin Academy job specific training including various e-modules such as Emergency First Aid and Customer Service. Competitive hourly rate. Uniform provided. Employee discount in various company owned restaurants and facilities. https://www.darwinescapes.co.uk/careers/job/general-grounds-assistant-bath-bm32/ The Grounds team at Bath Mill Lodge Retreat are looking for a General Grounds Assistant to join the small team at the beautiful park in Bath. This is a varied and interesting role within a beautiful park. It would be well suited to an enthusiastic candidate with experience in general grounds or maintenance positions previously. The successful candidate will work within the Grounds and Maintenance team, and will assist with various day to day duties. This will include working within the Grounds team to ensure the presentation of the park, cutting grass and maintaining greenery and pathways as well as working within the maintenance team to ensure the upkeep of the park, buildings and guest accommodation. This will include carrying out routine works such as painting and undertaking any repairs alongside any other renovation projects. This is a permanent position, to work full time variable hours, including weekends and bank holidays. This role is ideal for candidates searching for grounds and maintenance jobs within a commutable distance of Bath. Key Responsibilities Assist with general maintenance and upkeep of the park, grounds and company buildings General grounds work such as mowing, weeding and edging etc Keep all park grounds, bins, and park areas clear and tidy ensuring all bins are emptied regularly. Carrying out any routine grounds or maintenance work as required Follow all plant and equipment schedules, updating these as required. What experience you will need Previous similar experience is preferred but training can be given. Previous hot tub training is an advantage, but not essential. What skills you will need Full UK driving licence is essential to be able to use the vehicles around the park Excellent customer service skills are key. Great team work skills. Ability to work well and efficiently independently. Positive attitude with a willingness to learn. What we offer Job specific training as required including Darwin Academy modules such as COSHH and Health and Safety. Hourly rate of pay. Full uniform is provided. Discount in various company owned restaurants and facilities. https://www.darwinescapes.co.uk/careers/job/breakfast-chef-pocklington-kp43/ Our five star park; The KP Club in Pocklington are looking for a Breakfast Chef to join their busy Kitchen Team at this stunning park in Yorkshire. The newly appointed Breakfast Chef will effectively and efficiently run the kitchen during breakfast service, ensuring the company’s high standards are consistently met. You will do this by taking control of a number of responsibilities. These include effectively managing all waste, assisting in stock ordering and effective stock rotation. We are looking for someone who has experience within a busy kitchen. The KP Club plays host to many events throughout the year, including weddings, so experience in high volume covers and an ability to work well under pressure are both favourable. You will have dedication to presenting high quality dishes alongside a good ability to lead the team in this way. Good communication skills, both verbal and non verbal are an advantage to the role. The Breakfast Chef position is ideal for anyone looking to gain experience in leading a team through a busy service. This is a permanent position to work full time, variable hours. This will include weekends and bank holidays. This position is ideal for anyone searching for Chef positions within a commutable distance of Pocklington and York. Key Responsibilities Ensure all food service is prompt and to the company's high standards . Take control of effective stock rotation and ordering to minimise waste. Ensure the cleanliness of all work areas. Oversee service to ensure correct portion sizes and presentation. Comply with all food hygiene regulations at all times What experience you will need Previous experience within a fast paced environment is desired. What skills you will need Catering qualifications and level 3 food safety is desirable. Driving licence and ability to drive is advantageous due to the location of the park and minimal public transport. Strong communication skills within the team, other members of staff and outside contractors Positive work ethic Willingness to learn and teach new skills. What we offer Various training opportunities including Darwin Academy modules such as Health and Safety and COSHH. Competitive salary. Smart, comfortable uniform is provided. Employee discount in company restaurants and facilities including gyms and pools. https://www.darwinescapes.co.uk/careers/job/sous-chef-bath-bm27/ The busy Kitchen team at Bath Mill Lodge Retreat are looking for a Full Time Sous Chef. This is a fantastic opportunity for a key role to join our kitchen team at our park in Bath. The successful candidate will work alongside the Head Chef and be responsible for all aspects of kitchen preparation and procedure, portion control and waste management, and will be a proactive Chef who will perform consistently in line with the company’s high standards. This is a permanent position to work full time, variable hours. This will include evenings, weekends and bank holidays. This role is ideal for candidates searching for Chef jobs within a commutable distance of Bath. Key Responsibilities Ensure prompt and consistent food preparation & service Maintaining consistent portion control and ethical waste management practices Managing catering stock rotation & ordering as and when required Maintaining the cleanliness of all food preparation & work areas. Helping to ensure that all published menus & specials boards are accurate with the correct prices listed. Complying with all set out food hygiene regulations. What experience you will need The successful applicant will have experience in a similar catering role What skills you will need Possession of catering qualifications would be advantageous Possession of a level 3 in food safety is desirable. Full UK Driving licence and ability/willingness to drive would be advantageous. Strong inter-team communication skills are highly desirable. Positive attitude with eagerness to learn new skills. What we offer Access to the highly sought after Darwin Academy programme where you will be provided with job specific training including food hygiene, health & safety etc. Competitive catering salary Uniform provided. 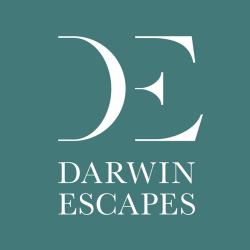 Discounts provided in Darwin Escapes restaurants and facilities across the UK. https://www.darwinescapes.co.uk/careers/job/seasonal-lifeguard-bude-sm34/ Sandymouth Holiday Resort are looking for a Seasonal Lifeguard to join the Leisure team. This is an excellent opportunity for someone looking to gain experience in their Leisure career, within our friendly team at this stunning coastal resort. While staying with us, guests have access to a modern leisure complex complete with various activities and a large pool areas. You will work within the leisure team to ensure the safe and effective operation of the leisure complex, making guest safety your key priority. You will take on a range of responsibilities within the department. These will include checking various pool water levels, ensuring the cleanliness and hygiene of the leisure complex including changing rooms and above all keeping a careful watch over all guests within the leisure areas to maintain levels of safety at all times. The successful applicant will require an enhanced disclosure. The cost of this will be met by Darwin. This is a seasonal position to work variable hours. This will include weekends and bank holidays. The Seasonal Lifeguard position is ideal for anyone looking for Leisure opportunities within a commutable distance of Bude. Key Responsibilities Focused and continuous observation of swimmers and spectators. Frequent checking of all areas, and action as necessary to maintain hygiene, cleanliness and safety. Check plant and carry out pool water tests. Check and record all guest passes. Advise guests on current activity programmes. Record any accidents and administer first aid, as required. What experience you will need Similar previous experience is required. What skills you will need Current NPLQ is essential. Driving licence and ability to drive is advantageous to enable you to get to the park. Good levels of communication skills. Positive attitude to work with willingness to learn new skills. What we offer Job specific training, to include Darwin Academy modules such as COSHH and Health and Safety. Hourly rate of pay. Full uniform. Great discount in company restaurants and various facilities. https://www.darwinescapes.co.uk/careers/job/chef-de-partie-axminster-hc35/ Hawkchurch Resort & Spa require a Chef de Partie. A fantastic opportunity has arisen for a key role to join our busy team at our five star venue in Axminster, Devon. You will work within the kitchen team, under the leadership of our Head and Sous Chefs. You will take control of various aspects of the kitchen. This will include food preparation and procedure, portion control and waste management. We are looking for someone who is enthusiastic and will perform consistently in line with the company’s high standards. This is a permanent position to work full time, variable hours. This will include evenings, weekends and bank holidays. This role is ideal for candidates searching for Chef jobs within a commutable distance of Axminster. Key Responsibilities All food service and preparation to be prompt and consistent. Effective and accurate stock rotation. Cleanliness of all work areas. Ensure the correct portion sizes and maintain strict control of all waste. Comply with all food hygiene regulations. What experience you will need Similar previous experience is desired. What skills you will need Catering qualifications and level 3 food safety are desirable. Driving licence and ability to drive is advantageous due to shift patterns. Strong communication skills within the team. Positive attitude with willingness to learn. What we offer Darwin Academy job specific training, to include food hygiene, COSHH, health & safety, manual handling, etc. Salary. Uniform. Accommodation is available for the right candidate. Discount in company restaurants and facilities. https://www.darwinescapes.co.uk/careers/job/commis-chef-talacre-tb100/ A fantastic opportunity has arisen for a Commis Chef to join our busy Kitchen team at our five star venue; Talacre Beach Holiday Home Park in North Wales We are looking for an ambitious and motivated Commis Chef who is looking to gain experience in a busy kitchen. The successful candidate will work alongside our talented Head Chef, and assist in all aspects of the working kitchen. This will include preparation, ensuring correct procedure, effectively managing waste and portions and ensuring the cleanliness of all work areas. This is a seasonal role to work variable hours, including evenings, weekends and bank holidays. This role is ideal for candidates searching for Chef jobs near Prestatyn. Key Responsibilities Consistent and prompt preparation and food service. Efficient and correct stock rotation. Cleanliness of all work areas. Provision of correct portion sizes and control of all waste. Comply with all food hygiene regulations. What experience you will need You will have similar previous experience. Catering qualifications and level 3 food safety is desirable. Driving licence and ability to drive is advantageous. What skills you will need Catering qualifications and level 3 food safety is desirable. Driving licence and ability to drive is advantageous. Strong communication skills. Positive attitude with willingness to learn. What we offer Darwin Academy job specific training, to include food hygiene, COSHH, health & safety, manual handling, etc. Pay is on an hourly rate. Uniform. Discount in company restaurants and facilities.